Diet: Iguanadontid steaks like Delapparentia are hard to come by, so try a balanced diet of steer or even alligator. It goes with the swamp, after all! 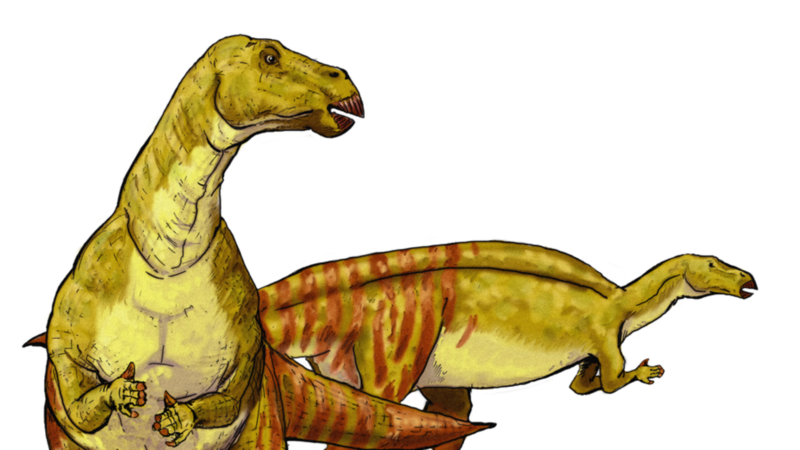 After taking in the sharp teeth, claws, and 16 inch hump toward the end of its back, you’ll notice Concavenator also has strange feathery bumps on its arms! Personality: It may seem “shy”, but don’t be fooled – it’s hiding so it can eat you. It dislikes all contact with humans, so will glare at you even when darted. Shipping: Due to a logistics error, we discovered Concavenator can be shipped long haul with a short haul amount of food, possibly due to it storing fat in its hump. Sending it via freight train from central Spain and then shipping container works best, due to fewer human passengers and staff. Delivery Time: 3 days via cargo plane (quicker, but more expensive and dino closer to humans); 17 days via freight train and sea (preferred: less contact, more evacuation options). Ideal for: A rare but show-stopping glimpse; eating trespassers.